The study investigated the influence of staff competences and management support on the quality of service delivery in public hospitals. The target population for this study comprised of 273 employees and 10,000 patients in Mbagathi district hospitals within Nairobi County. Simple random sampling was used to select 398 employees and patients while census was done on the 8 management staff. This study used primary data, both quantitative and qualitative. Primary data was obtained from the original sources using a structured questionnaire and captured through a 5-point type Likert scale. A Likert scale questionnaire was preferred as it makes it possible to convert responses into quantitative format for ease of data analysis using Statistical Package for Social Sciences (SPSS). Interview guide was also used to obtain information from the management of district hospital. The questionnaires were self-administered using the drop and pick later method. A pilot study was undertaken on 5% of the sample population. Findings indicated that there was a positive and significant relationship between staff competence, management support and service delivery in public hospitals in Kenya. The study concluded that offering training to the staff, staff trained regularly, staff equipped with adequate and necessary skills are key impetus to service delivery. Recognition and rewards on members of staff, championing for the achievement, openness and transparency, management encouraging professionalism, monitoring and evaluation of the facility performance influences service delivery in hospitals. Conducive working environment acted as a motivating agent for employees to work better and get job satisfaction in the hospital. It was recommended that Mbagathi Hospital management should acquire, develop, and retain the qualified resources in order to address the dynamics of the environment and the ever-changing technology. Management should recognize and reward members of staff and champion for the achievement of set goals and objectives. Abuosi, A. A., & Atinga, R. A. (2013). Service quality in healthcare institutions: establishing the gaps for policy action. International journal of health care quality assurance, 26(5), 481-492. Acharya, B., Maru, D., Schwarz, R., Citrin, D., Tenpa, J., Hirachan, S. & Kohrt, B. (2017). Partnerships in mental healthcare service delivery in low-resource settings: developing an innovative network in rural Nepal. Globalization and health, 13(1), 2. Andaleeb, S. S. (2000). Public and private hospitals in Bangladesh: service quality and predictors of hospital choice. Health policy and planning, 15(1), 95-102. Bloom, N., Propper, C., Seiler, S., & Van Reenen, J. (2015). The impact of competition on management quality: evidence from public hospitals. The Review of Economic Studies, 82(2), 457-489. Geller, L. (1982). The failure of self-actualization theory: A critique of Carl Rogers and Abraham Maslow. Journal of Humanistic Psychology, 22(2), 56-73. Githiri, E. M. (2015). Factors Affecting Customer Service Delivery: A Case of Standard Chartered Bank Kenya (Doctoral dissertation, United States International University-Africa). Kara, A., Lonial, S., Tarim, M., & Zaim, S. (2005). A paradox of service quality in Turkey: The seemingly contradictory relative importance of tangible and intangible determinants of service quality. European Business Review, 17(1), 5-20. Kaurai, P. M. (2016). Influence of strategic change management practices on performance of Kenya national highways authority (Doctoral dissertation, University of Nairobi). Kerubo, N. T. (2016). The Relationship between Service Quality Management and Organization Performance of Shipping Agents in Kenya. Kimanzi, C. M. (2014). Factors influencing provision of quality service in the public health sector, a case of Mwingi sub-county hospital, Kitui county-Kenya (Doctoral dissertation, University of Nairobi). Kipturgo, M. K., Kivuti-Bitok, L. W., Karani, A. K., & Muiva, M. M. (2014). Attitudes of nursing staff towards computerisation: a case of two hospitals in Nairobi, Kenya. BMC medical informatics and decision making, 14(1), 35. Kitur, R. K. (2015). Strategic change and leadership at Madison insurance company Kenya limited (Doctoral dissertation, University of Nairobi). Kothari, C. (2004). Research Methodology: Methods & Techniques, 2nd edition. New age International Publishers, New Delhi, India. Kritsonis, A. (2005). Comparison of change theories. International journal of scholarly academic intellectual diversity, 8(1), 1-7. Lee, T. T. (2006). Adopting a personal digital assistant system: application of Lewin's change theory. Journal of Advanced Nursing, 55(4), 487-496. Maina, M. W. (2016). 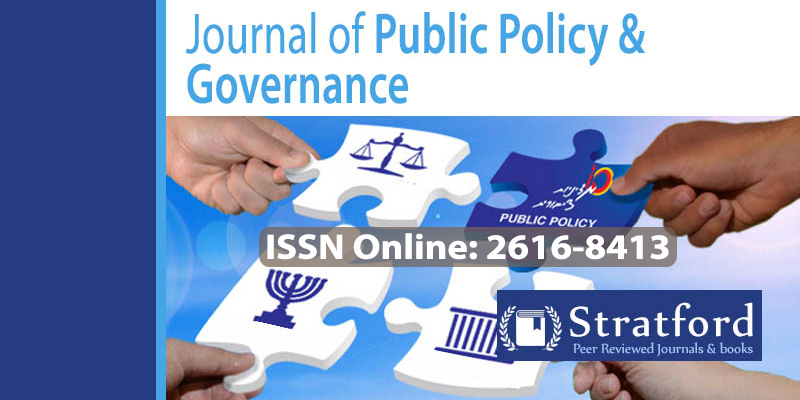 Influence of Employee Empowerment on Organizational Commitment in Kenya Civil Service (Doctoral dissertation, JKUAT COHRED). Maloba, B. E. (2014). Total quality management and service delivery at World Vision Kenya (Doctoral dissertation, University of Nairobi). Mantey, G. P. (2012). An Assessment of the Effect of Staff Training on Customer Service Delivery (A Case Study at Barclays Bank Ghana Limited) (Doctoral dissertation). Nassazi, A. (2013). Effects of Training on Employee Performance. Evidence from Uganda. Phelan, J. C., Link, B. G., & Tehranifar, P. (2010). Social conditions as fundamental causes of health inequalities theory, evidence, and policy implications. Journal of health and social behavior, 51(1 suppl), S28-S40. Wanjau, K. N., Muiruri, B. W., & Ayodo, E. (2012). Factors affecting provision of service quality in the public health sector: A case of Kenyatta national hospital.